In his treatise, Émile Burnouf, a delegate of the French School of Archaeology, describes and depicts on an accompanying map the ancient remains of houses, streets, cisterns and graves that were visible across the area before the quarries’ expansion. The map by Burnouf constitutes compelling evidence of the ancient character of the rocks and therefore becomes an important tool in the hands of Panagiotis Efstratiadis, General Ephor of Antiquities. The latter puts in an Herculean effort striving to convince those in charge to take action against quarrying in order to avert the destruction of unique historical evidence pertinent to the settlement of the Hills. 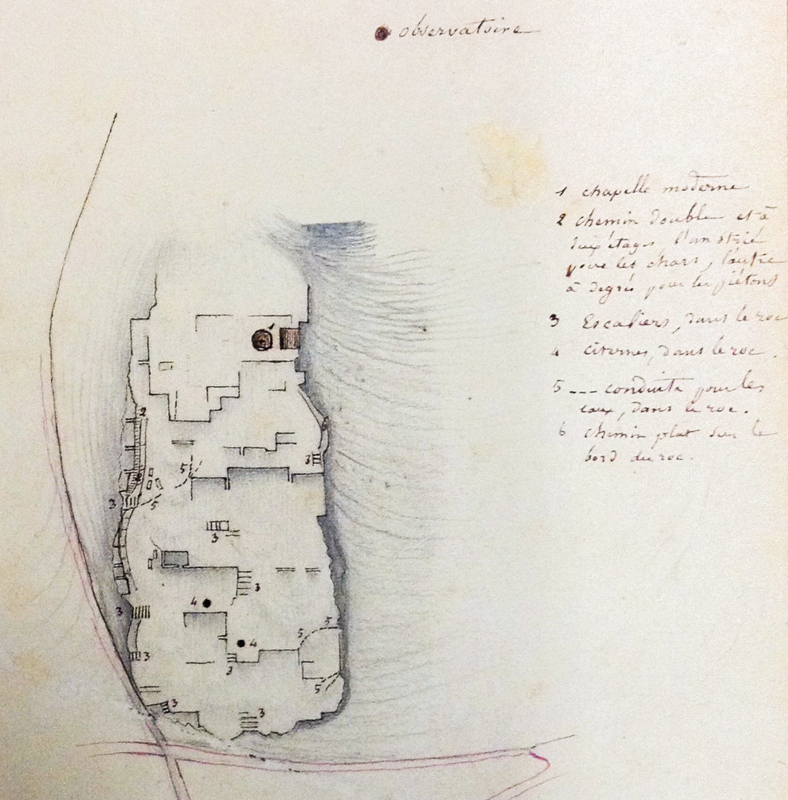 Sketch by Émile Burnouf; plan of the cuttings at the plateau of Agia Marina.